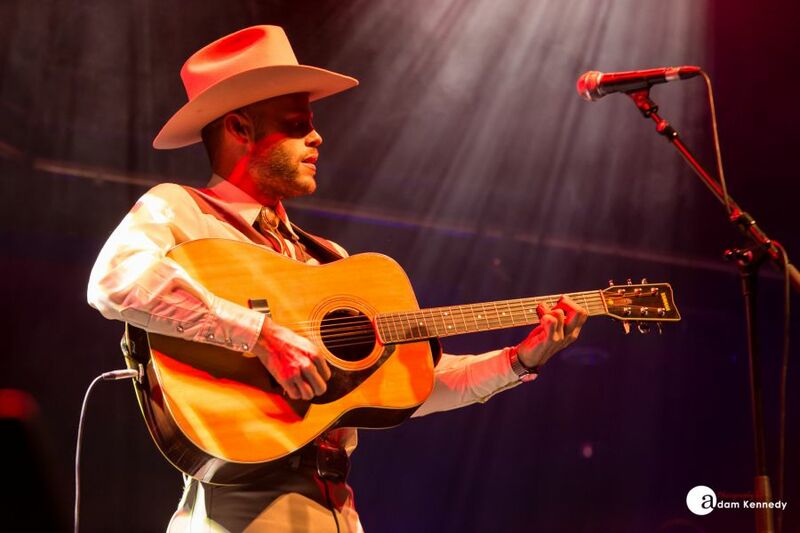 Now in its 13th year, the annual SummerTyne Americana Festival recently returned to the Sage Gateshead bringing with it in tow a stellar line-up. 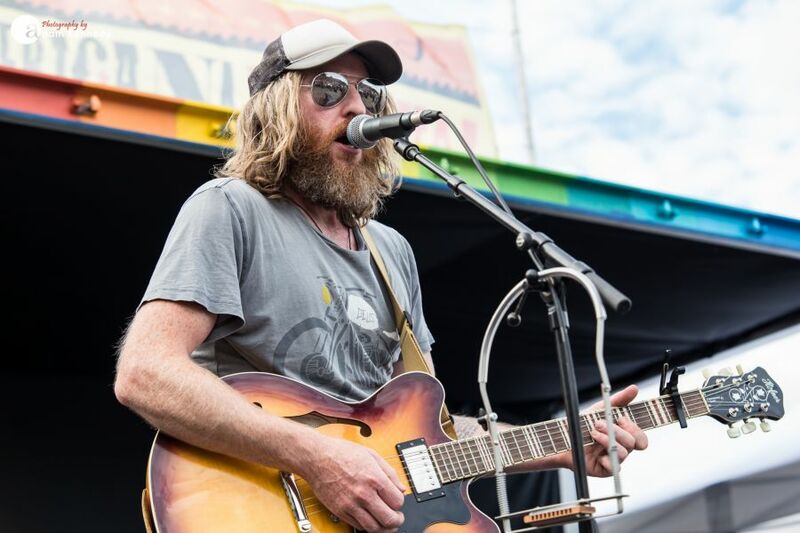 The three-day event’s star-studded bill featured headliners that included the likes of Graham Nash, Natalie Merchant, Steve Earle and Iris DeMent who each, in turn, drew huge crowds at this year’s festival. The SummerTyne attendees safely broke out their shades and sun cream during somewhat of a beautiful Saturday and Sunday afternoon on Tyneside.  Of Course, SummerTyne has acted as a springboard for many aspiring artists over the years. 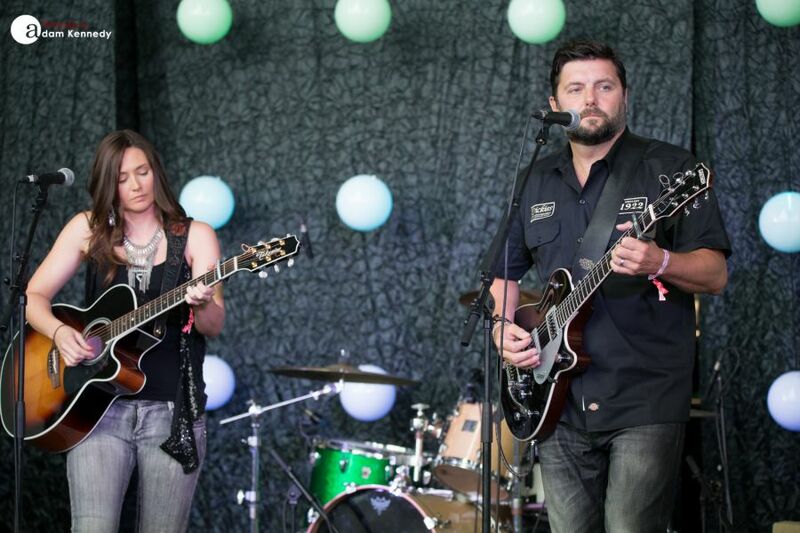 Chart-topping country acts such as The Shires and Ward Thomas both being a testament to this. 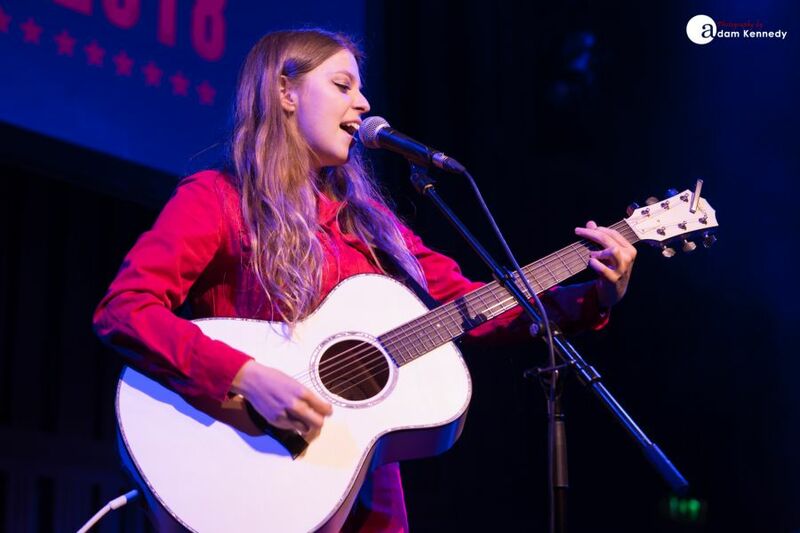 On the strength of performances at this year’s festival from emerging artists such as Jade Bird and The Wandering Hearts, they both have the potential to follow suit. 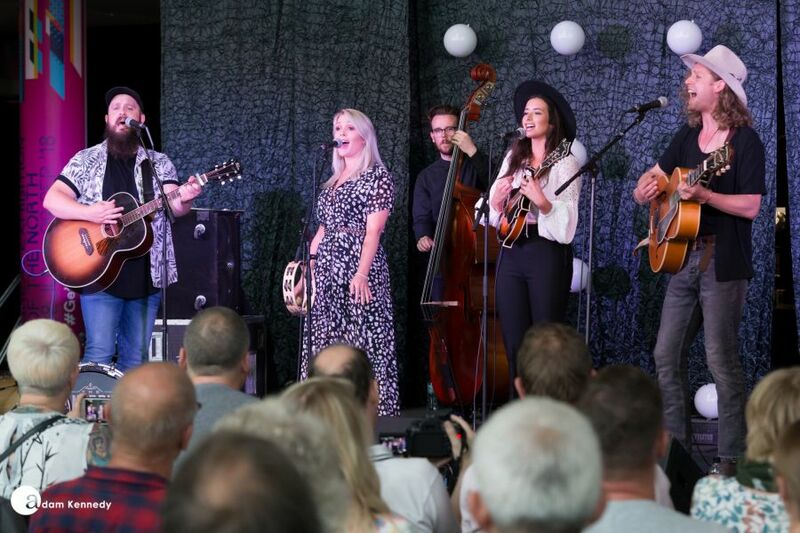 Over the course of the three-day event, the Americana Association UK along with the Jumpin’ Hot Club hosted the cream of the roots music scene. 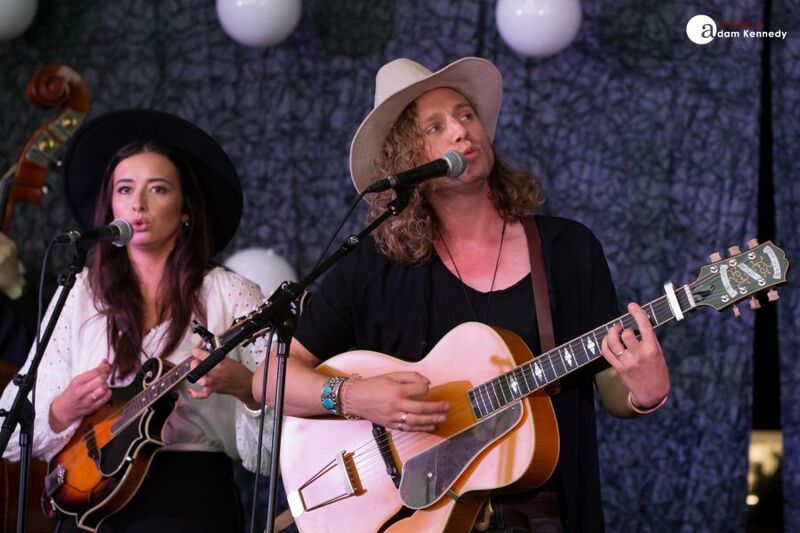 Huge crowds gathered by the festival’s free stages as they witnessed impressive sets from up and coming country artists such as Mel Greggain, Peter Donegan, Arkansas Dave, Hymn and Her and William The Conqueror, to name but a few. 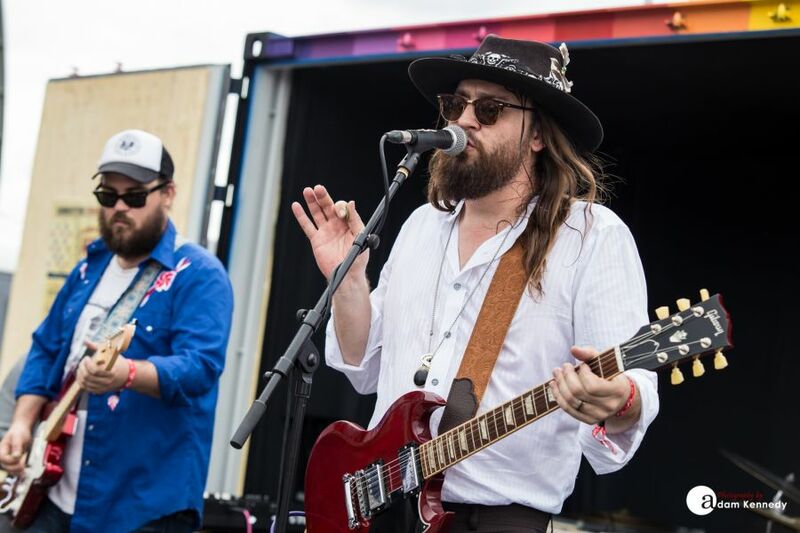 The North East music fans spread out across the several stages hosted over the festival site to witness the extensive array of artists from across the entire Americana and roots music spectrum. There really was something there for everybody. 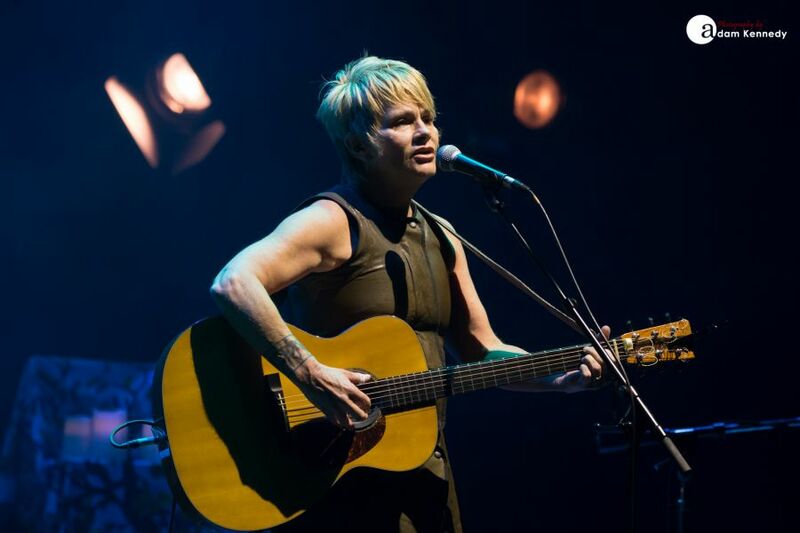 Having been twice inducted into the Rock and Roll Hall of Fame Graham Nash kicked off the proceedings in Sage One on Friday evening where he was joined by special guest multi-Grammy award-winning artist Shawn Colvin. 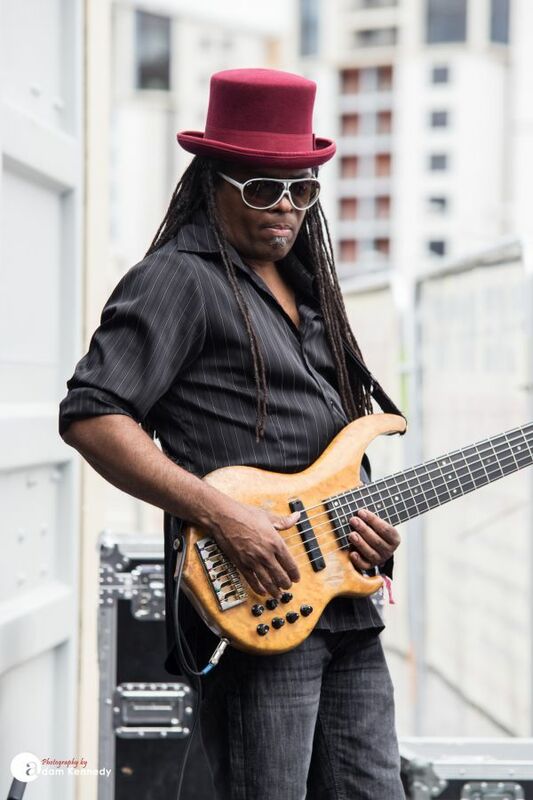 Accompanied by guitarist Shane Fontayne and CSN’s B3 organ player Todd Caldwell, the trio collectively performed a 19 song set that left no stone unturned. 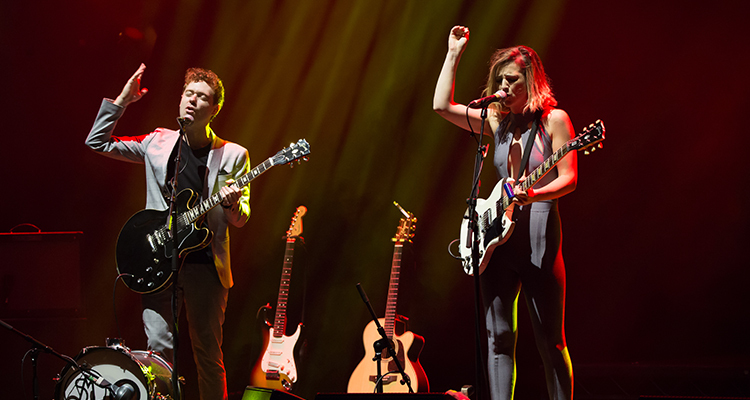 All three performers came together seamlessly throughout, often resulting in sublime vocal harmonies. Each song in the show was accompanied by fascinating backstories recapping the inspiration behind many of Nash’s much-celebrated creations. This included the story of his visa woes at the Canadian border which resulted in “Immigration Man”, his adventures in the third-class carriage on a train ride from Tangiers that produced “Marrakesh Express” through to his account of a $500 bet from a friend that he couldn’t pen a number before an impending flight from Maui to Los Angeles. Of course, the latter of which spawned “Just A Song Before I Go”; this being a track that went on to become one of Crosby, Stills and Nash’s most successful hits. He quips if he had known it was going to be such a big hit he would have written a better song; much to the audience’s amusement. 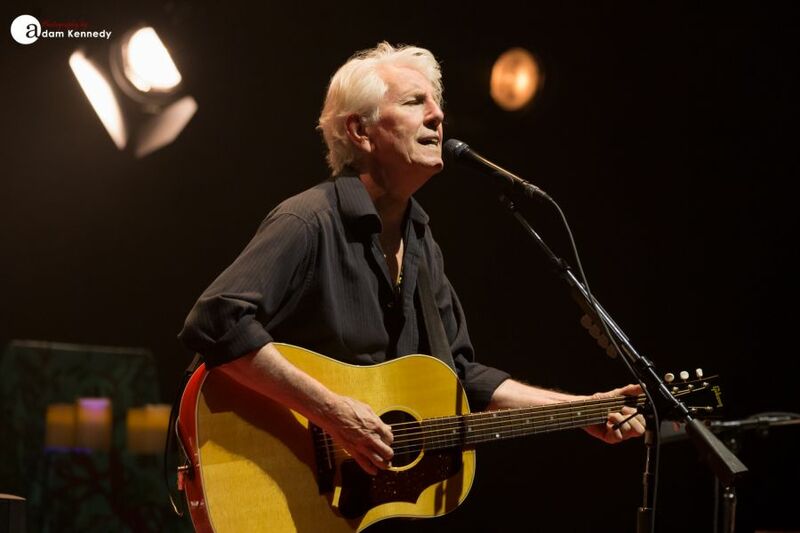 Graham Nash performed each of the songs in his career spanning set with the same passion and intensity as the moment in which they were created. Despite the age of a lot of the material in the set, many of these timeless classics are just as relevant as they were at the time in which they were written. Nash’s voice still sounds incredible and has aged just like a fine wine. There were many highlights in the show, these included an epic rendition of “Cathedral”, a crowd-pleasing airing of “Our House” before the main set was brought to a close with CSN&Y’s “Chicago”. 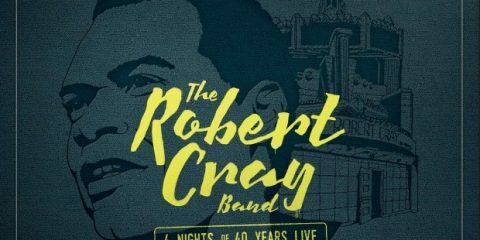 A further standing ovation from the SummerTyne audience resulted in a two-song encore which featured the Woodstock veteran’s three-part harmony based take on Buddy Holly’s “Everyday” and old favourite “Teach Your Children”. 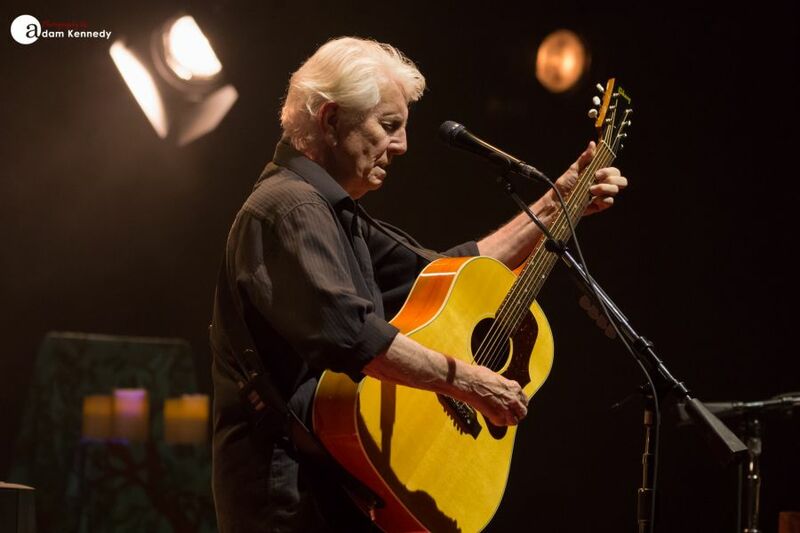 With a career spanning 50 years, Graham Nash continues to go from strength to strength and is showing no signs of slowing down. 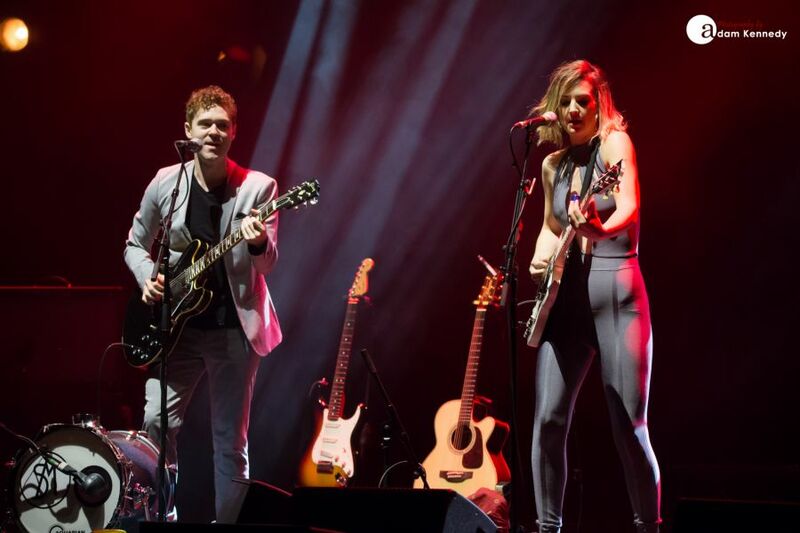 Liverpool’s Robert Vincent arrived at the Sage Gateshead hot off the back of a recent appearance alongside Roger Waters at the BST Festival in Hyde Park. Accompanied by his four-piece band Vincent treated the late night revellers in the SummerTyne Lounge to a set that centred on his latest album I’ll Make The Most of My Sins. 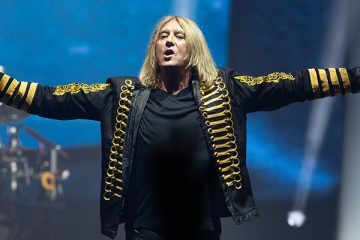 Several tracks from Vincent’s latest offering featured including stand out number “So in Love”, a joyous rendition of “Lady” and an uptempo performance of “November”. 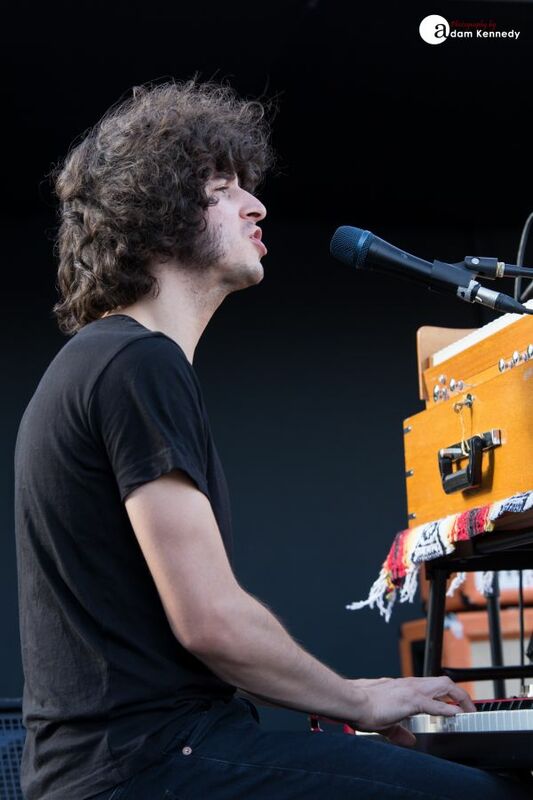 Vincent closed his short but sweet set with “Demons” from his debut album Life In Easy Steps. By his own admittance the aforementioned is the biggest miserable song he knows; nevertheless, this beautiful composition cast a spell over the Sage Gateshead that had the audience transfixed throughout. 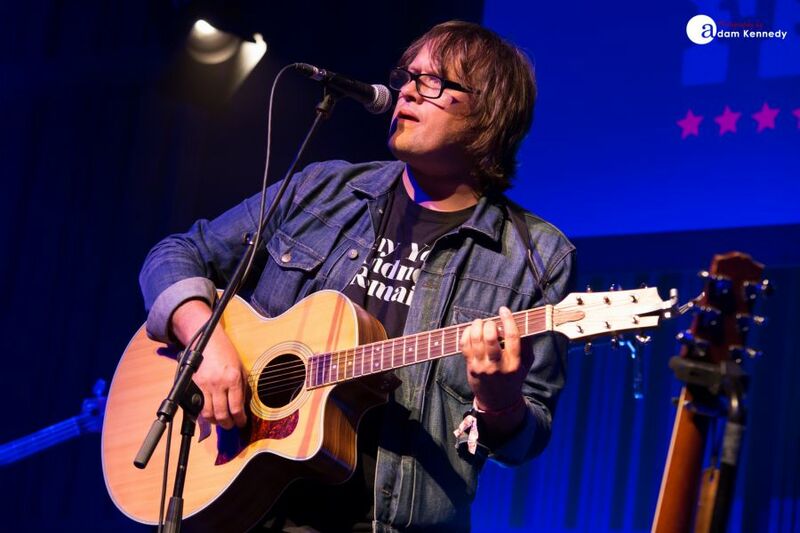 Robert Vincent is the perfect example of contemporary Americana music at its best. 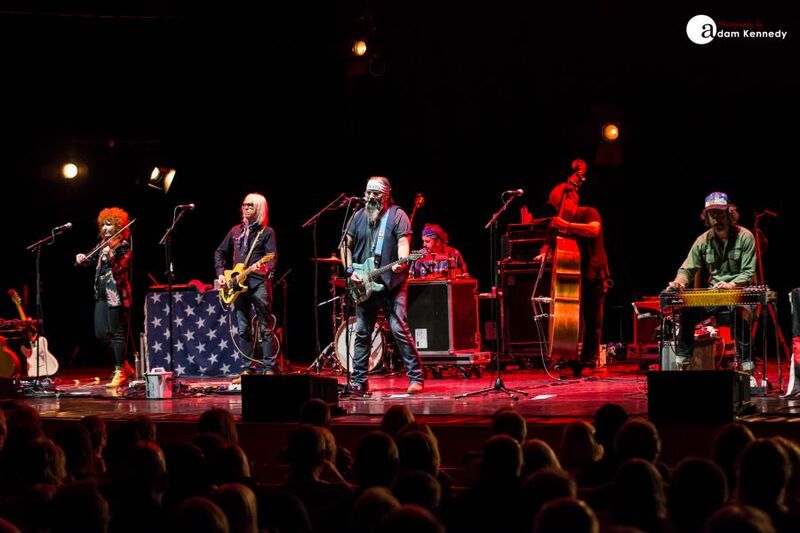 Three-time Grammy Award winner Steve Earle made a welcome return to the North East of England whilst performing in front of a packed out Saturday night crowd at the Sage Gateshead. A rare full band performance featuring his incredibly talented five-piece ensemble The Dukes added to the spectacle of the event. 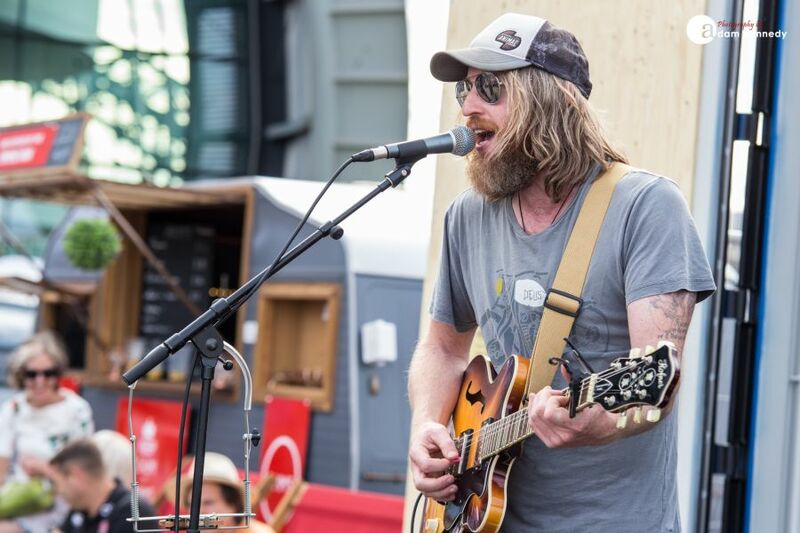 Last year the Americana legend released his latest studio album So You Wanna Be An Outlaw. 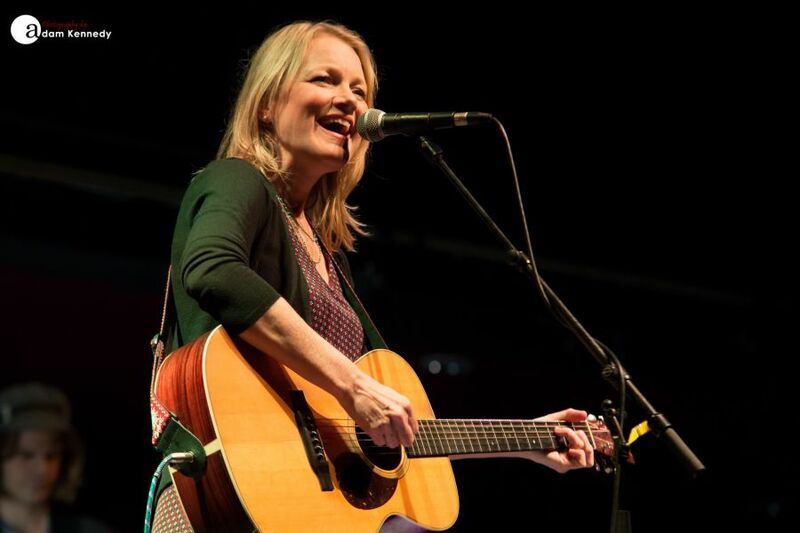 Subsequently, the first half of Steve Earle’s marathon set is drawn from his latest offering with several back to back cuts performed from the record. 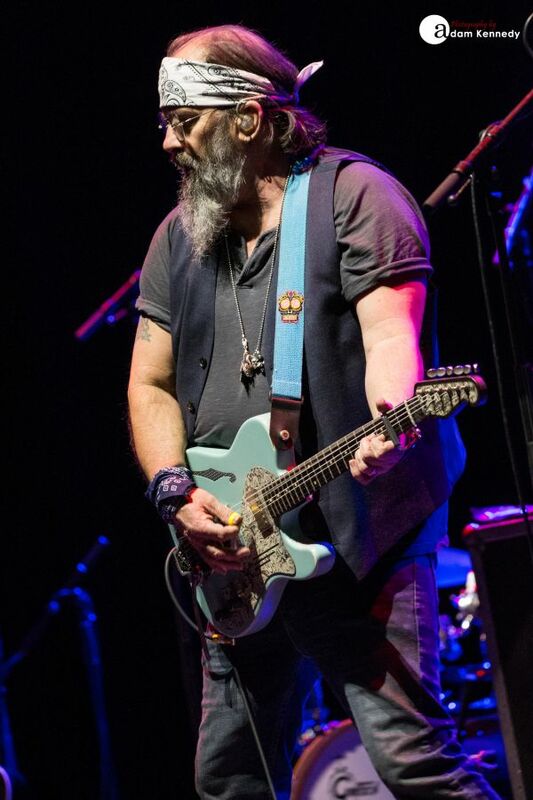 Despite the onus on his latest release, during the second half of the show, Steve Earle took the crowd through his extensive discography spanning 16 studio albums. 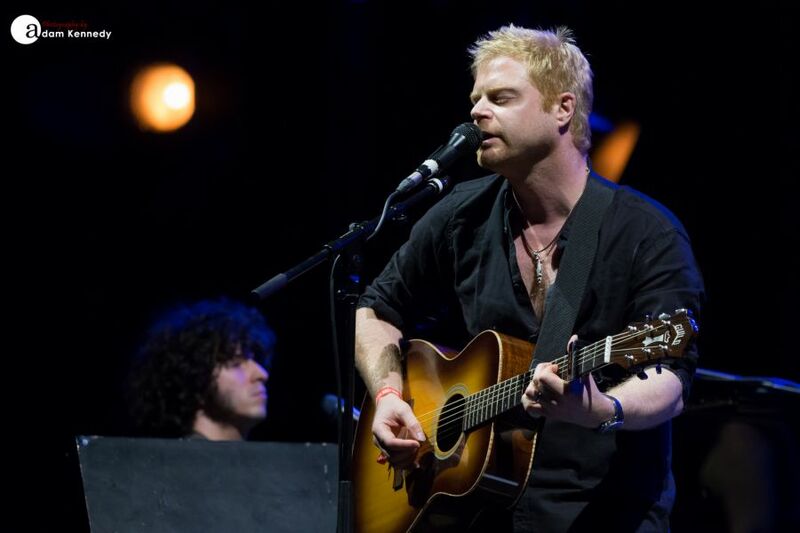 This included a foot-stomping performance of “Guitar Town” – the title track of his 1986 breakthrough album, his Celtic infused fan favourite “Galway Girl” and the politically tinged “Jerusalem”. 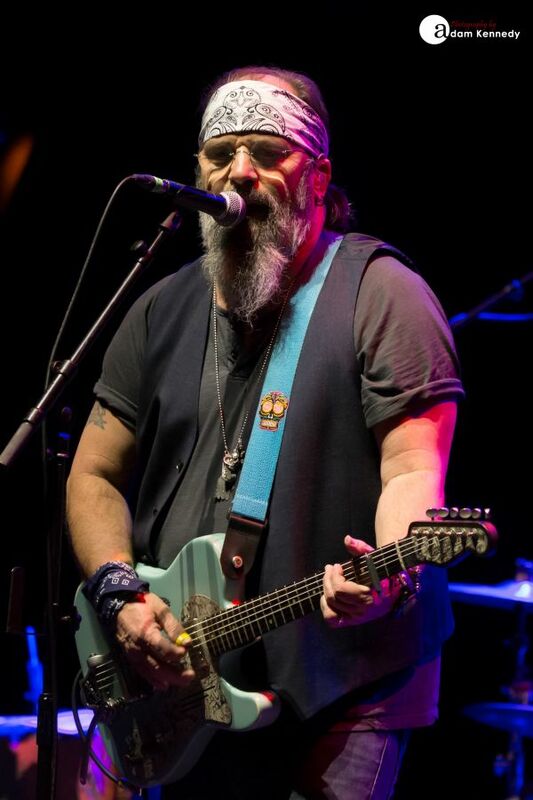 Steve Earle has been out on the road across Europe recently celebrating the 30th anniversary of his seminal album Copperhead Road. 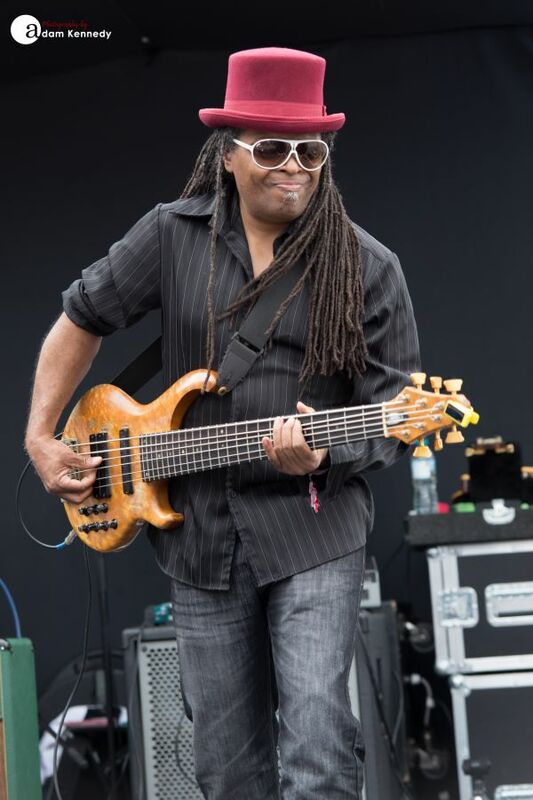 Of course, the show would not be complete without a crowd-pleasing run through the anthemic title track itself before Earle’s main set was brought to a close with his rather unique country take on the Jimi Hendrix number “Hey Joe”. 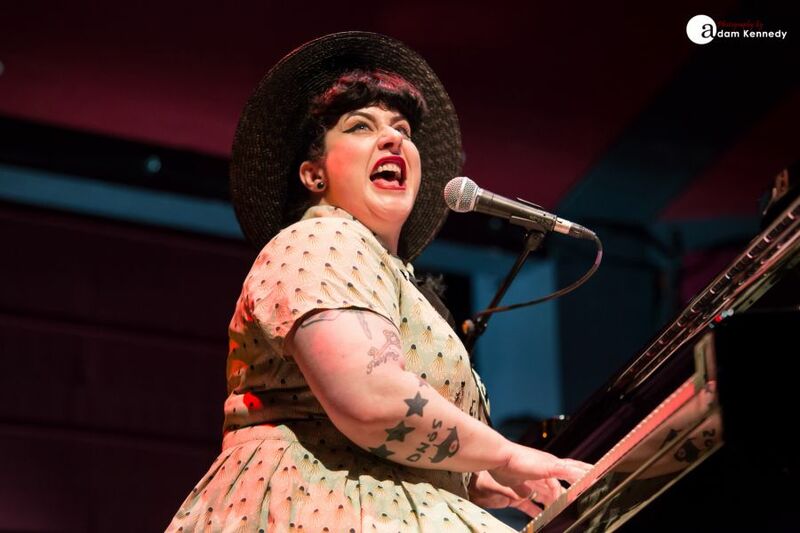 Having been a firm favourite at SummerTyne back in 2014, US-based outfit Davina and the Vagabonds made a return to both the festival and the Sage Gateshead. This being the group’s second appearance in this very room inside of just over a year. 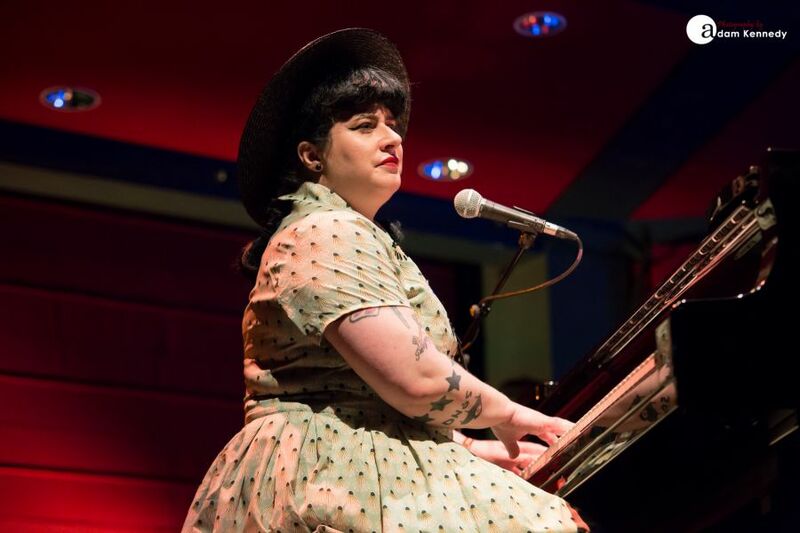 Davina took to the stage in a beautiful summer dress with a black hat and assumed her position behind the Steinway grand piano at the side of the stage. 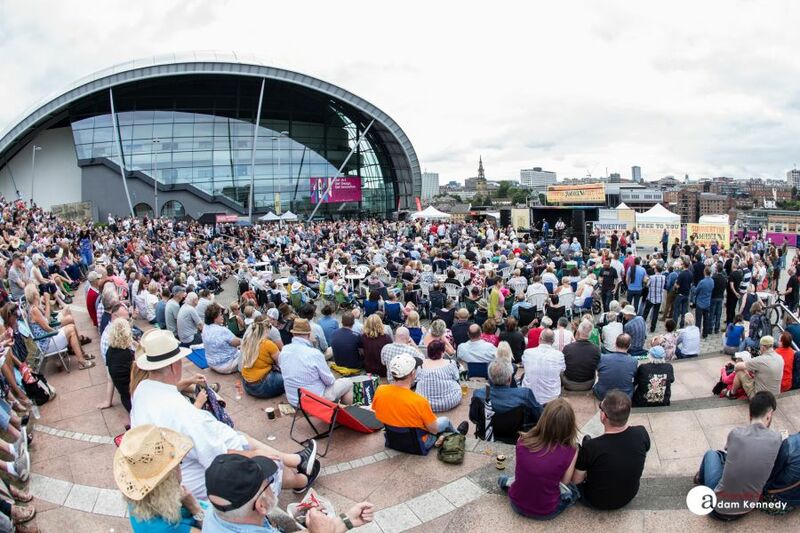 Both fan favourite “Black Cloud” and the feel-good number “Sunshine” featured early in the set before the band transported the Gateshead audience to New Orleans whilst conjuring up images of the region’s treasured Preservation Hall Jazz Band. 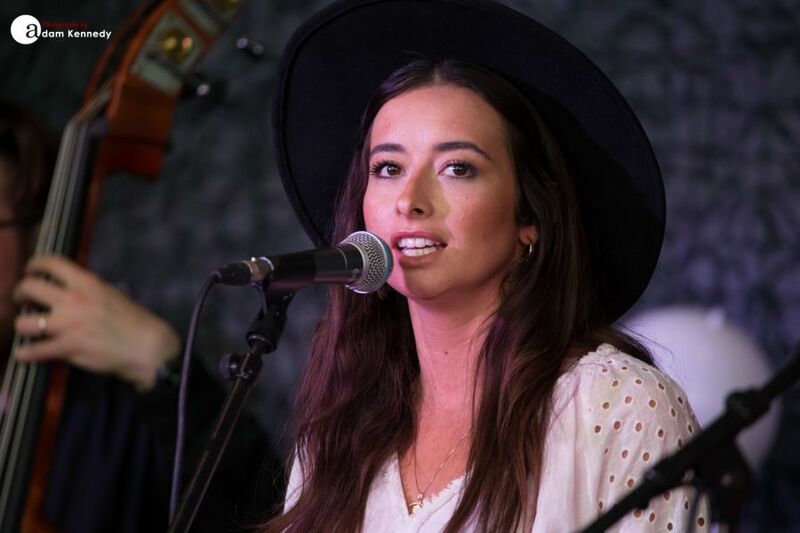 During the course of their late night set, Davina and the Vagabonds performed several covers from a wide variety of their influences. 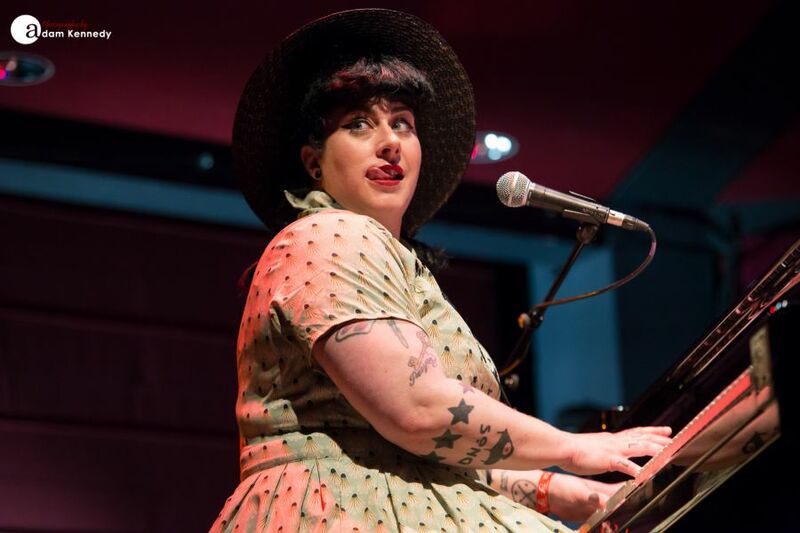 This included a sultry version of Nina Simone’s “Sugar In My Bowl”, Fat’s Domino’s “Ain’t That A Shame?” their groove-heavy take on Chuck Berry’s “Back To Memphis” along with Etta James’ unmistakable soulful blues hit “I’d Rather Go Blind”. 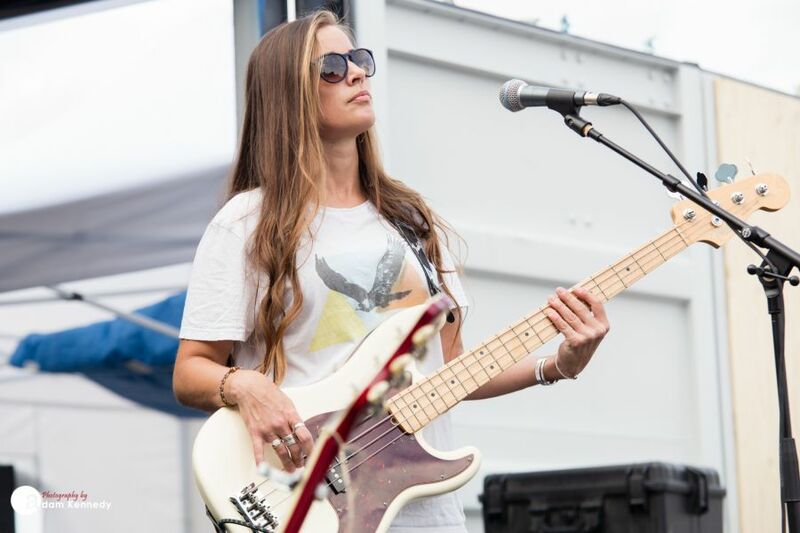 Before the band’s emotive new song “Deep End” Davina really bared her soul, and honestly and openly discussed her struggles with depression. Davina truly gave her all and was visibly moved as a result. A thoroughly entertaining rendition of “St Michael vs The Devil” saw Davina participate in a display of vocal acrobatics whilst going head to head with trombone player Steve, to great effect. 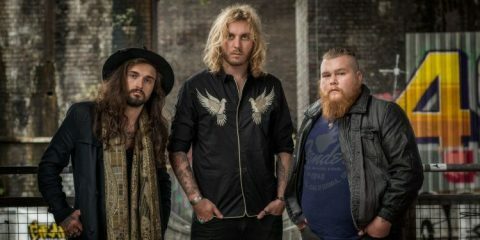 The group later brought an incredible 12 hour day of live music at Sage Gateshead to a close with the frantic “St James Infirmary” leaving the stage to a standing ovation. 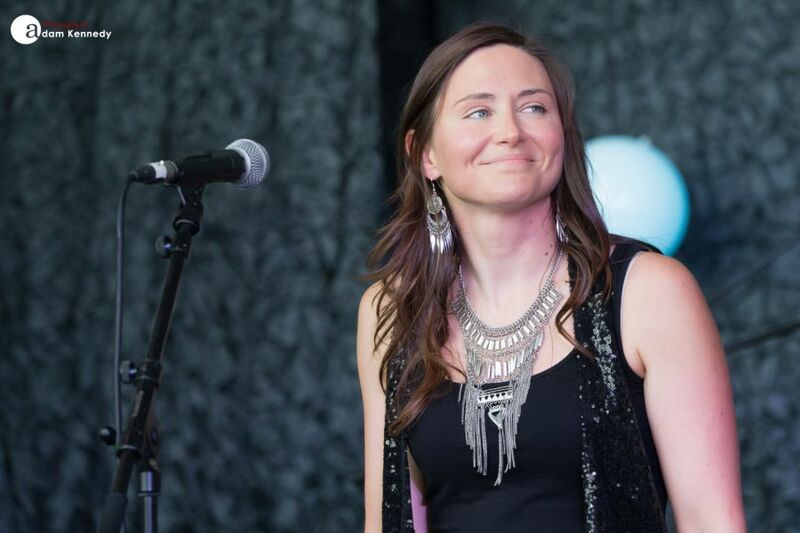 Davina and the Vagabonds continue to keep traditional jazz and blues music alive. 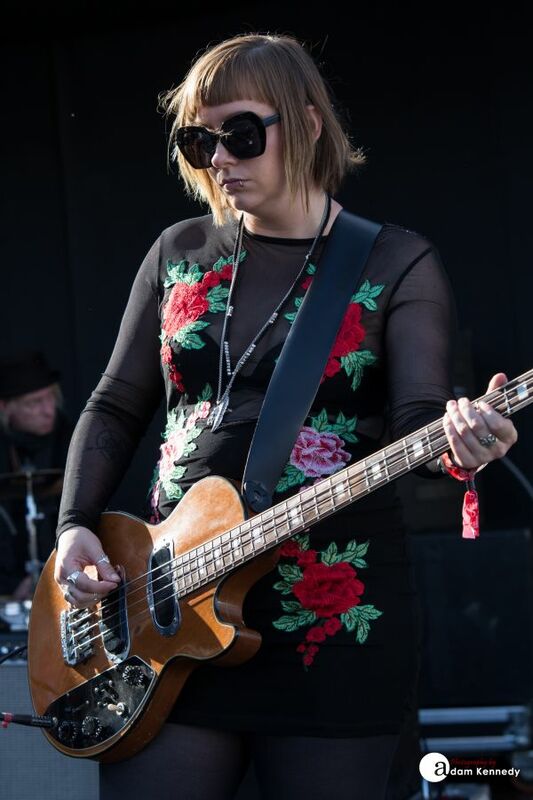 Rising star of the country scene Sarah Darling is one of the few acts from last year’s SummerTyne line-up to feature again this time around. 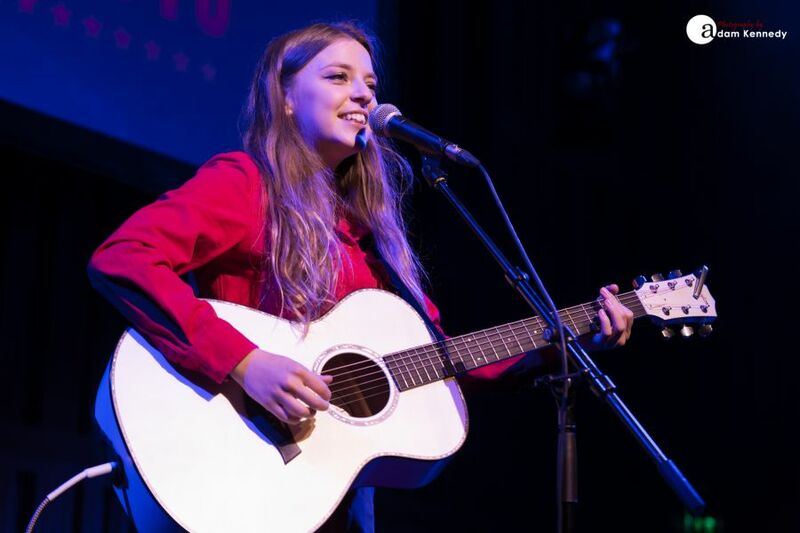 The Nashville based singer-songwriter arrived at the Sage Gateshead following a recent appearance at BST Hyde Park alongside music legend Paul Simon. 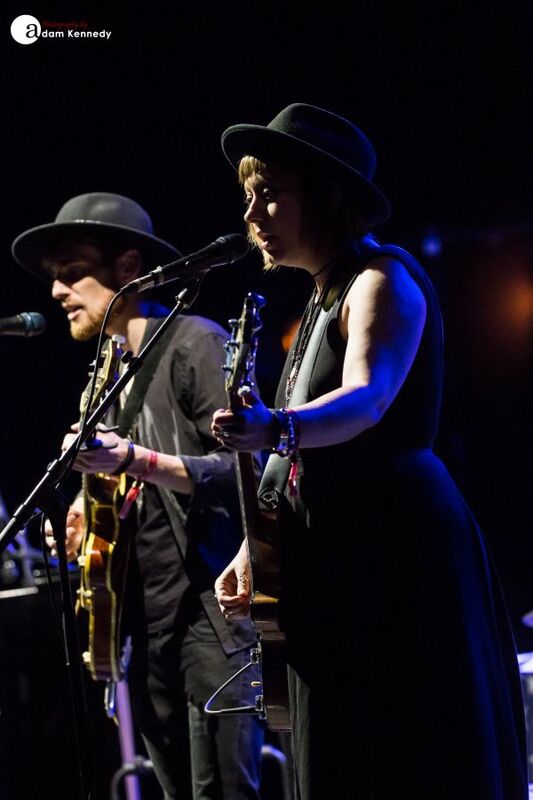 Darling’s set was the first of an impressive Sunday night triple bill inside of Sage One. 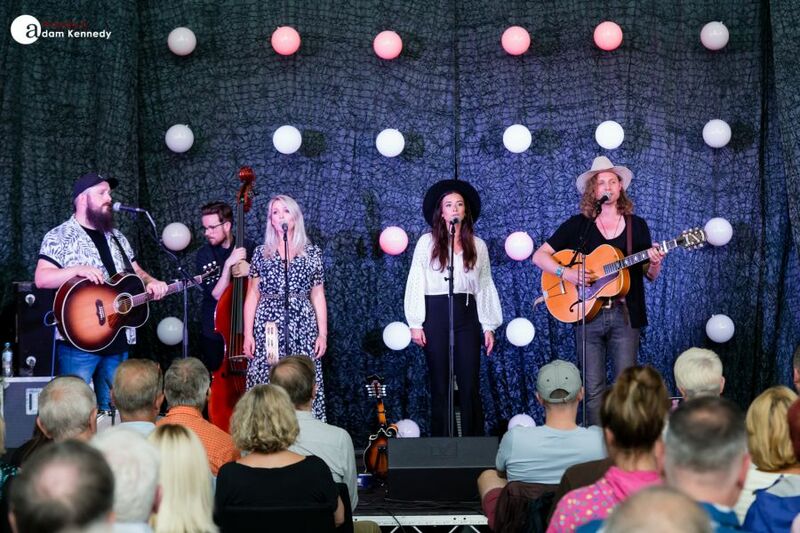 Taking to the stage in a beautiful white dress Sarah Darling took the Gateshead faithful through several numbers from her critically acclaimed latest record Dream Country. 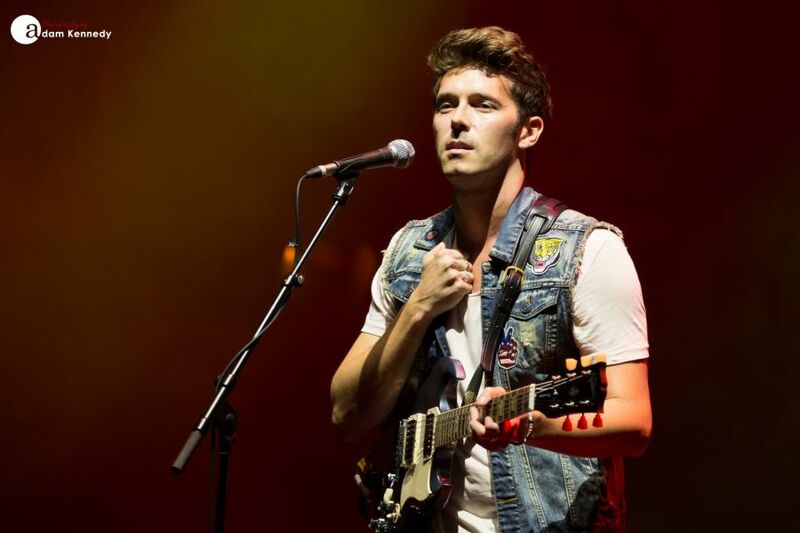 This included the likes of “Where Cowboys Ride”, the heartfelt love song “Montmartre” along with the Sam Palladio co-penned title track itself. 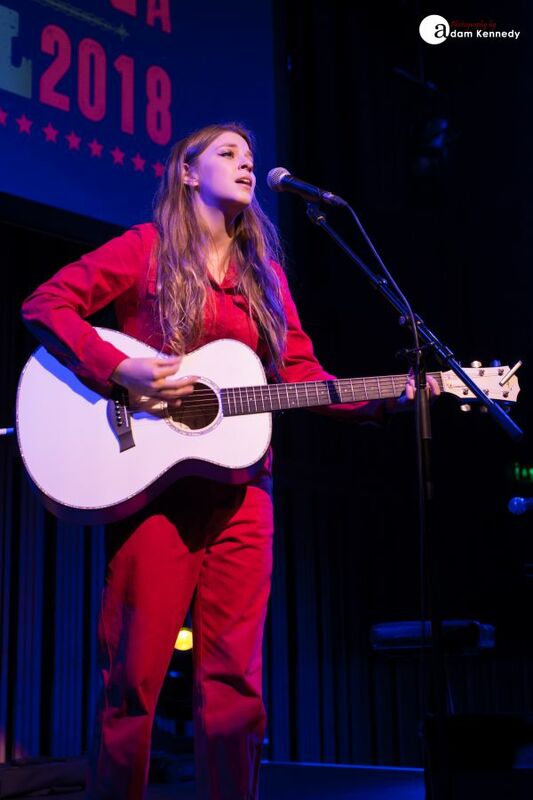 Darling also previewed a few of her latest compositions including new single “Diamonds” and one track which was so fresh that it was given its live debut at the Sage Gateshead. 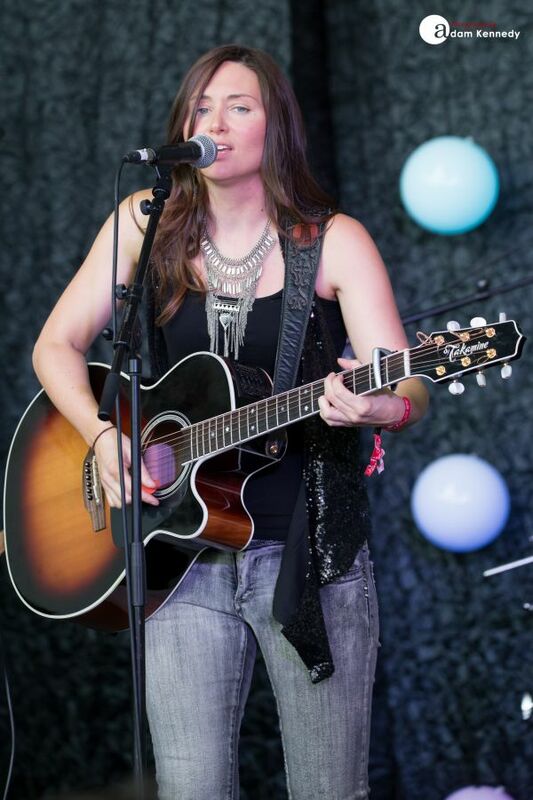 Sarah’s angelic voice completely captivated the Tyneside audience and left them wanting more. 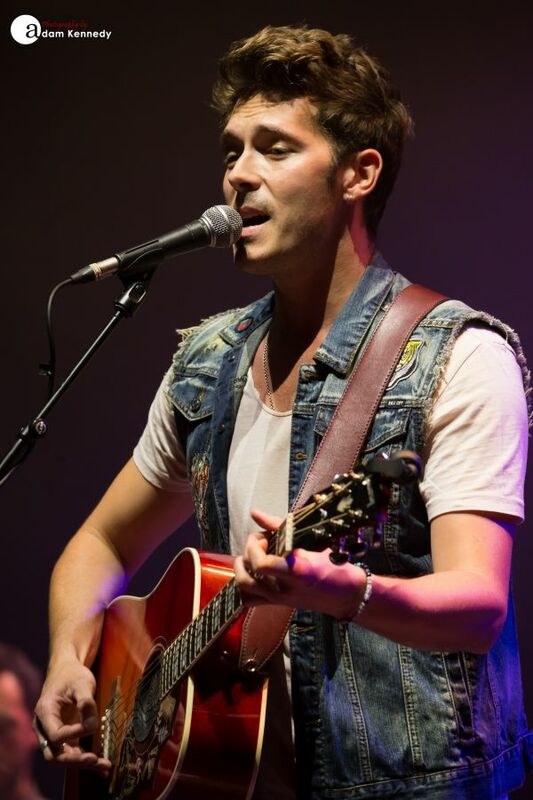 Sam Palladio will be familiar to many through his role as Gunnar Scott in the television show Nashville. 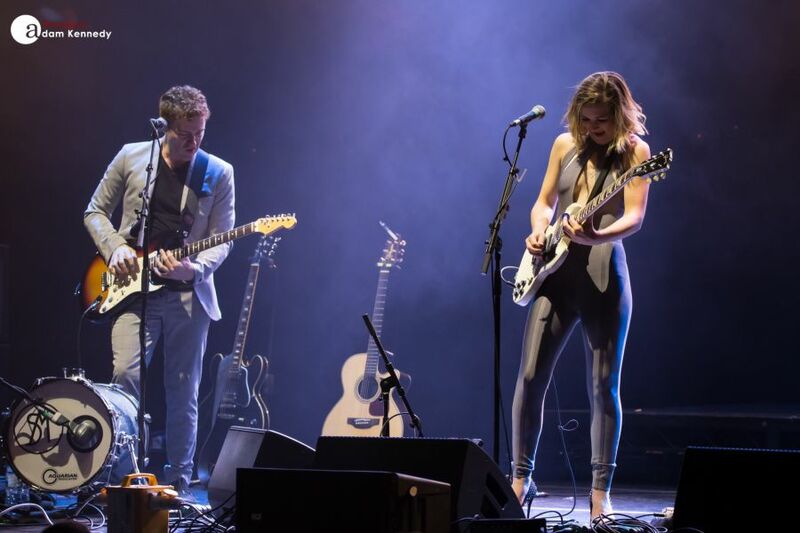 Palladio recently concluded a sold-out arena tour with the stars of Nashville alongside his esteemed colleagues Clare Bowen and Jonathan Jackson. 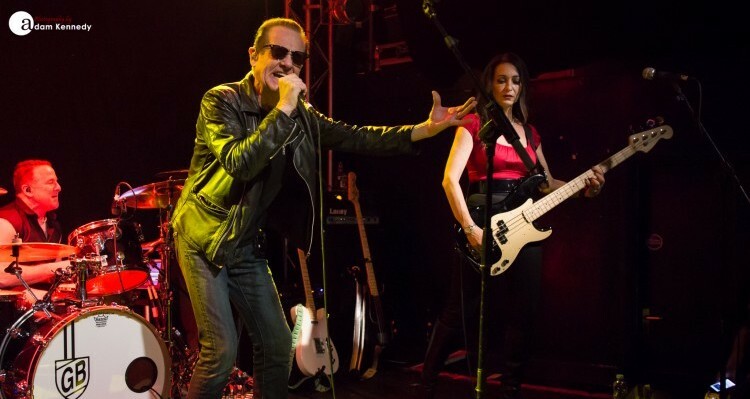 Palladio’s setlist struck a perfect balance between his solo material along with his favourite Gunnar Scott tracks. 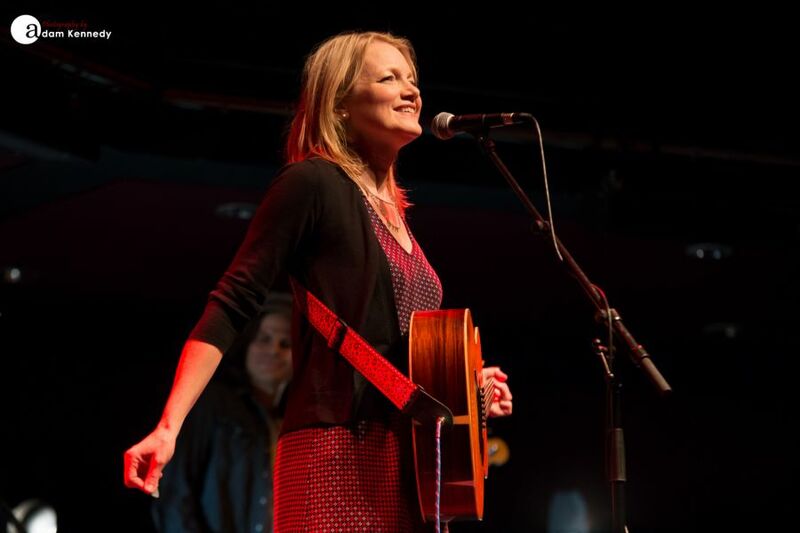 The latter of which included “Adios Old Friend”, the heartfelt ballad “I Will Fall” along with steamy love song “Fade Into You”. 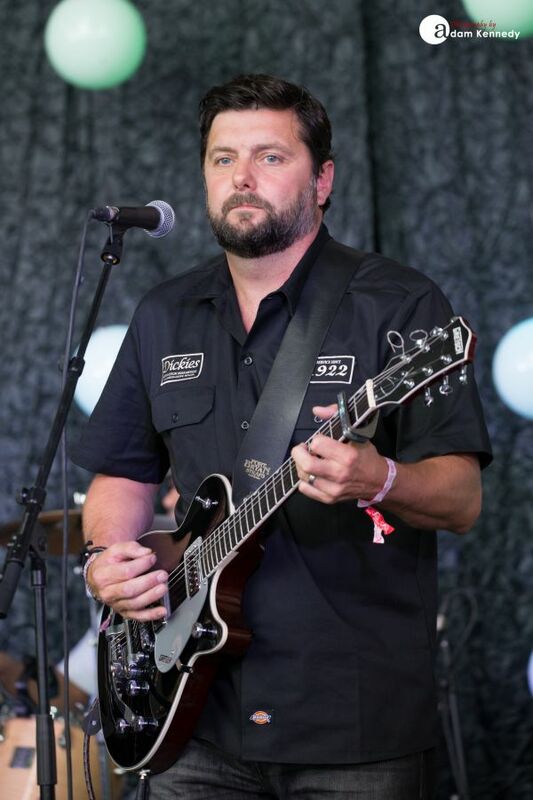 Sam informed the crowd that they have in fact finished recording the final episode of the hit TV show, and his upbeat country-rock number “Going Electric” which was included in the set would be Gunnar’s last song. 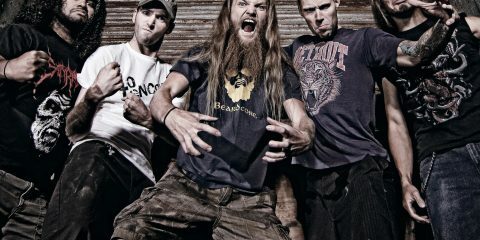 The previously mentioned track will be released here in the UK in the coming weeks. 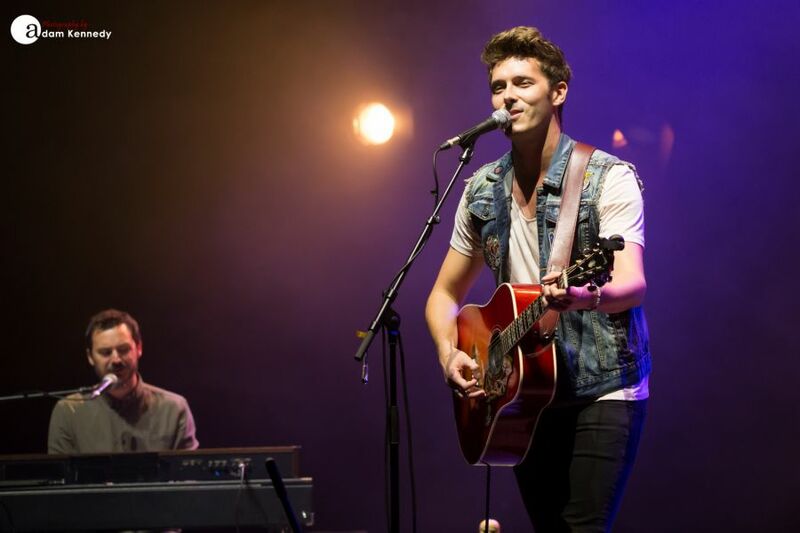 Palladio praised the crowd for supporting his musical progression from the show as he continues to spread his wings. 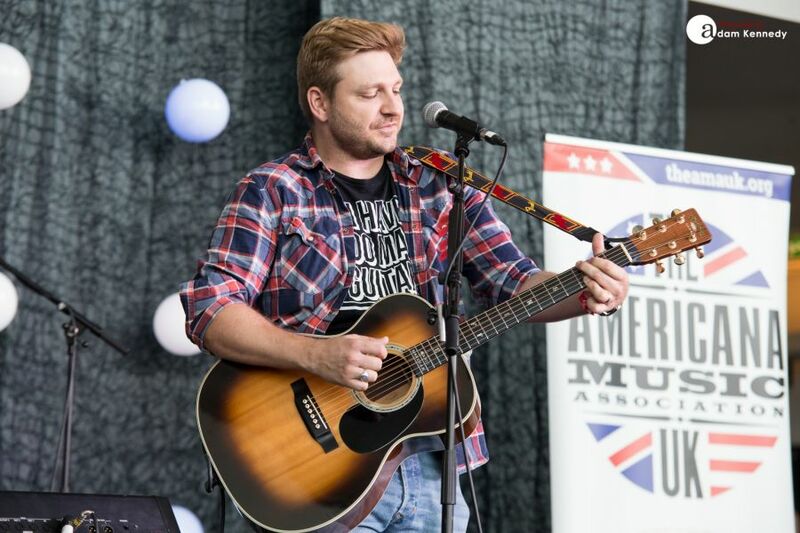 Sam shared several of his solo compositions including the rather funky “Headed For The Fire”, his romantic WW2 inspired number “Wake Me Up In Nashville” along with set closer “Goodbye Blue”. On the strength of these songs alone, we look forward to more of what is to come from the multi-talented British singer/songwriter. 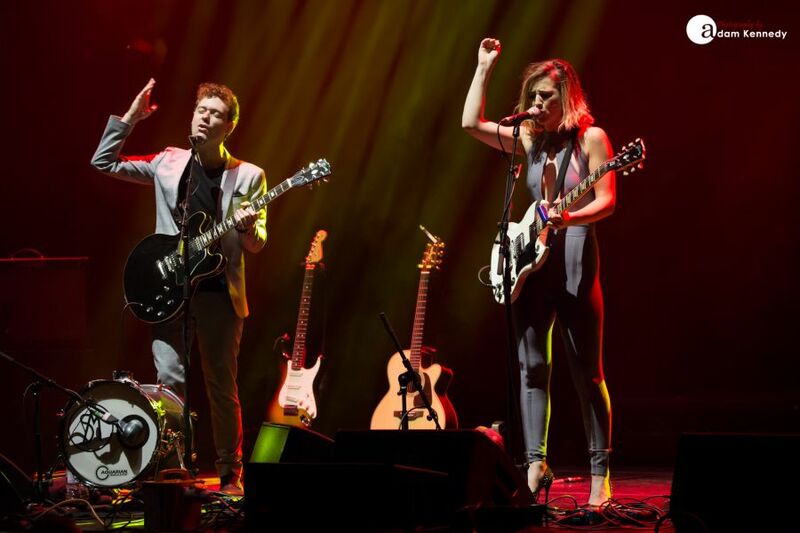 Following their 2016 festival headline appearance US-based country duo the Striking Matches closed out this year’s SummerTyne Americana Festival at the Sage Gateshead. 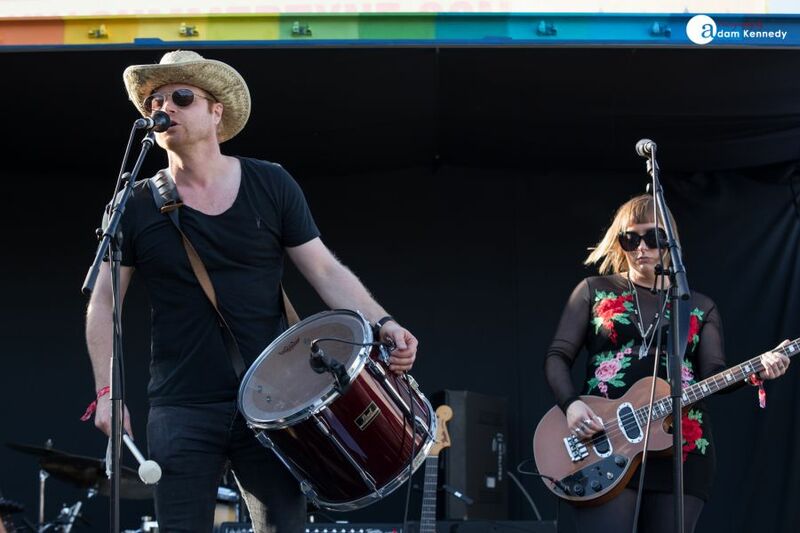 Since their last appearance in the North East the Striking Matches has released two new EP’s in the shape of Retrograde and Shameless. 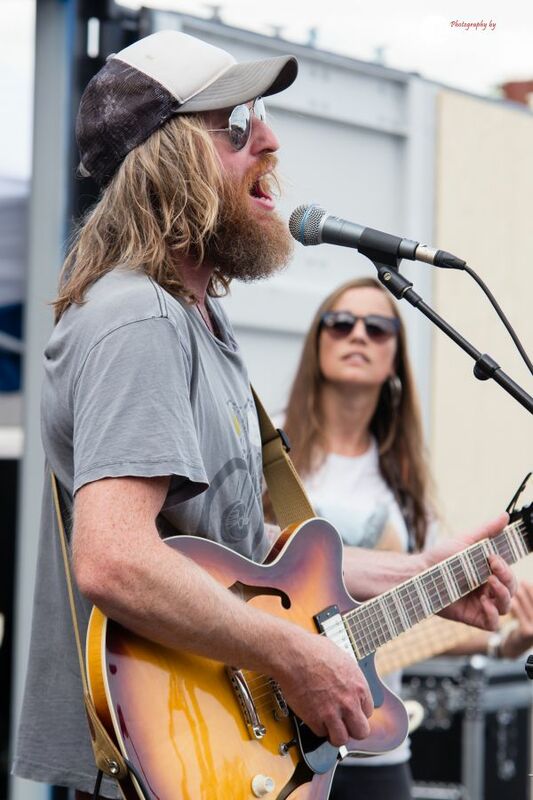 During the first half of their set, the Nashville based outfit showcased several tracks from their latest releases including the likes of “Ghost and “Medicine” along with each of the title tracks. 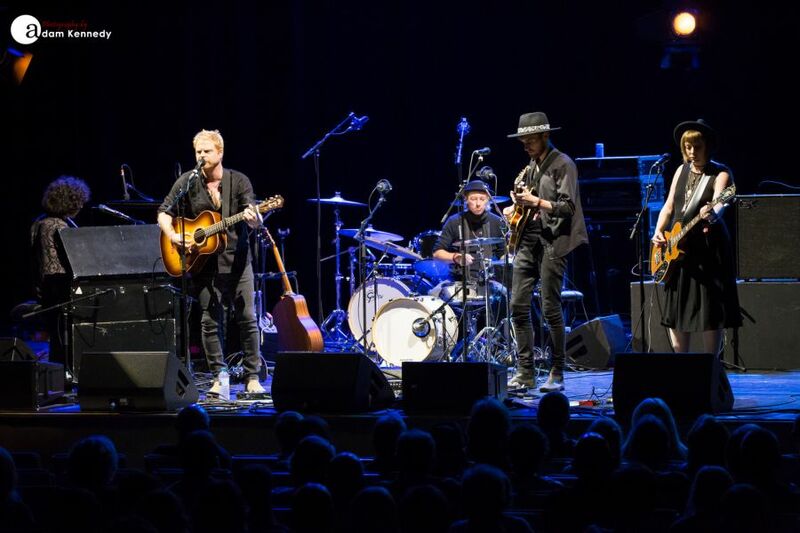 The second half of the set centred on the band’s critically acclaimed debut album Nothing But The Silence. This included the frantic “Trouble Is As Trouble Does”, during which the pair seamlessly play off one another, along with country ballads “Make A Liar Out Of Me” and “When The Right One Comes Along”. Being an Americana festival the most unlikely number on the Striking Matches setlist was their unique take on Rick Astley’s 80s pop hit “Never Gonna Give You Up”, which surprisingly worked very well. 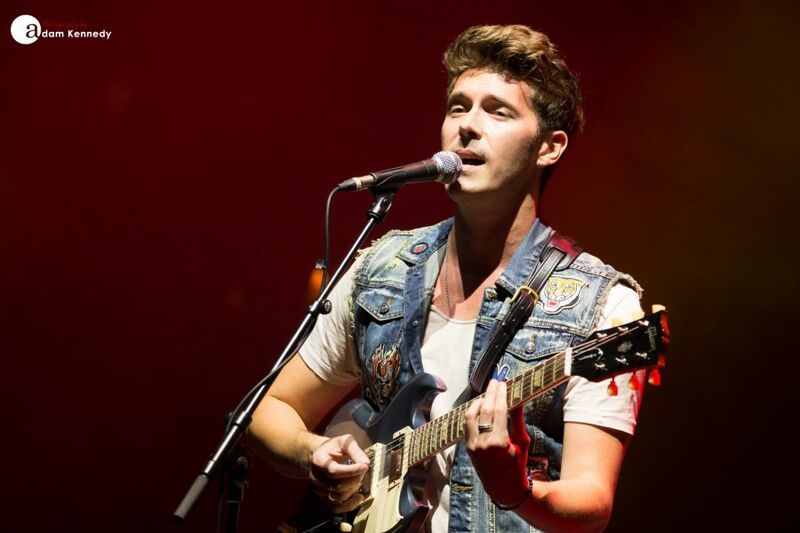 Having Sam Palladio in attendance the duo invited the Nashville star to join them for an upbeat rendition of “I Ain’t Leaving Without Your Love” before bringing their main set to a close with a blistering slide fuelled rendition of Robert Johnson’s “Crossroads Blues”. The whole room up on their feet as both the show and the festival reached its explosive conclusion. Hearing The Striking Matches on record is one thing but to witness them live is truly something else; they are incredible songwriters and their guitar playing is such a joy to watch. 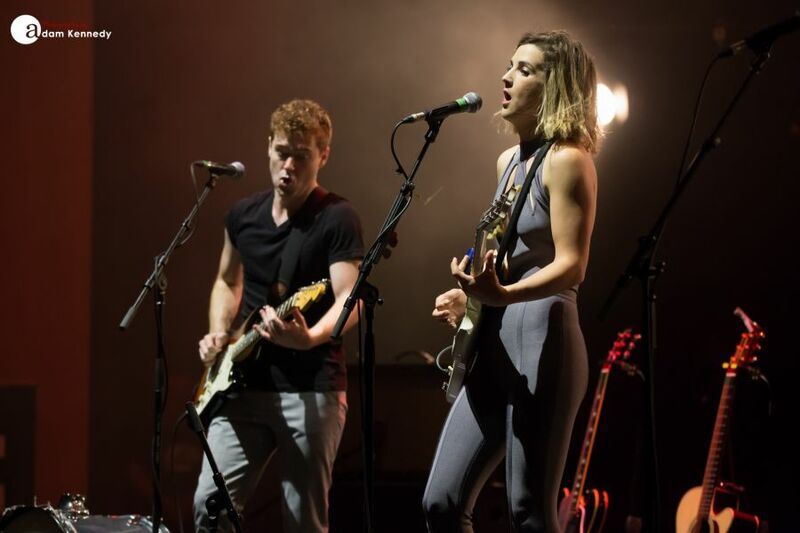 In places they are reminiscent of Rodrigo y Gabriella; they play off one another with ease, accentuating their beautiful vocal harmonies. 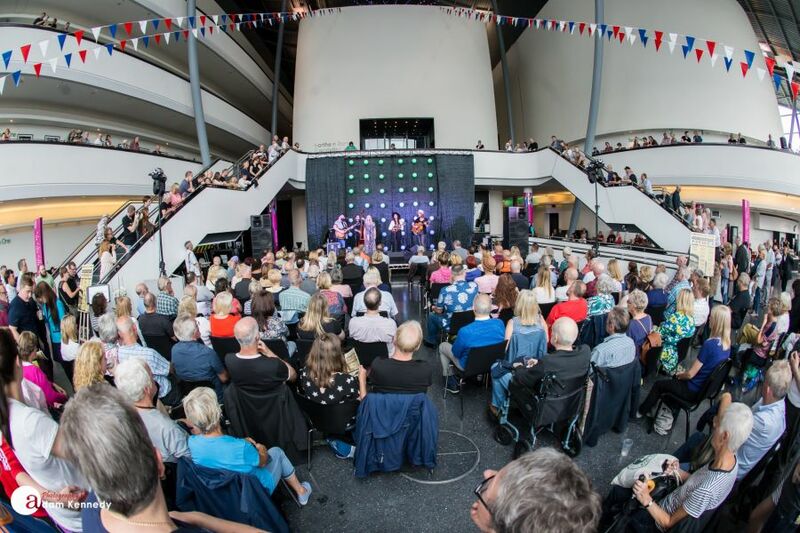 Once again, SummerTyne at the Sage Gateshead did not disappoint, having firmly established itself as one of the highlights of the UK’s summer festival season. We can hardly wait for next year already.